Lawrenceville has made a comeback over the past couple of years and now can claim the title of Pittsburgh’s trendiest neighborhood. Filled to the brim with little boutiques, first-class restaurants and fun bars, it’s easy to see why Pittsburghers flock here for all their shopping needs. The opposite of boring, Lawrenceville is making a name for itself and continues to rank amongst the best places to visit while in Pittsburgh. With so many shops to choose from in Lawrenceville, it’s easy to spend a day there. 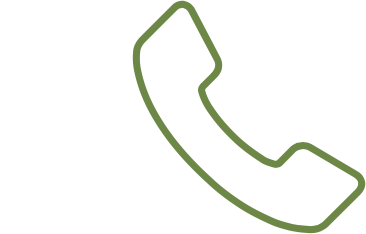 Why not treat someone you know to a GiftYa card and let them shop at their convenience? The card will never lose its value, and can’t be lost or stolen, how’s that for a savvy deal? GiftYa cards are accepted at all the Lawrenceville stores listed below, so you can start your shopping adventure anytime! 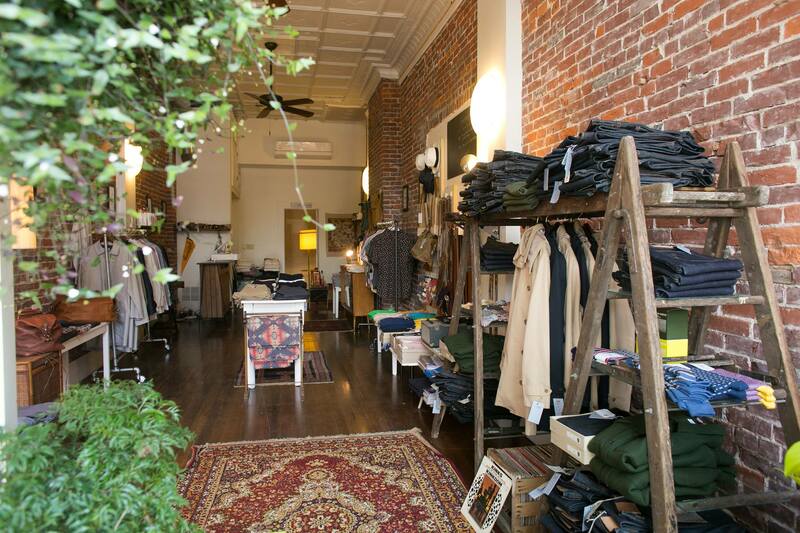 This consignment boutique is top on the list of places to shop while in Lawrenceville. It’s easy to see why once you walk in with an ambiance that just exudes a welcoming feeling to customers. It’s packed full of all types of fashion and accessories with every nook full of new surprises. The items change often in this popular store, and you can guarantee everything you get is a true one-of-a-kind! 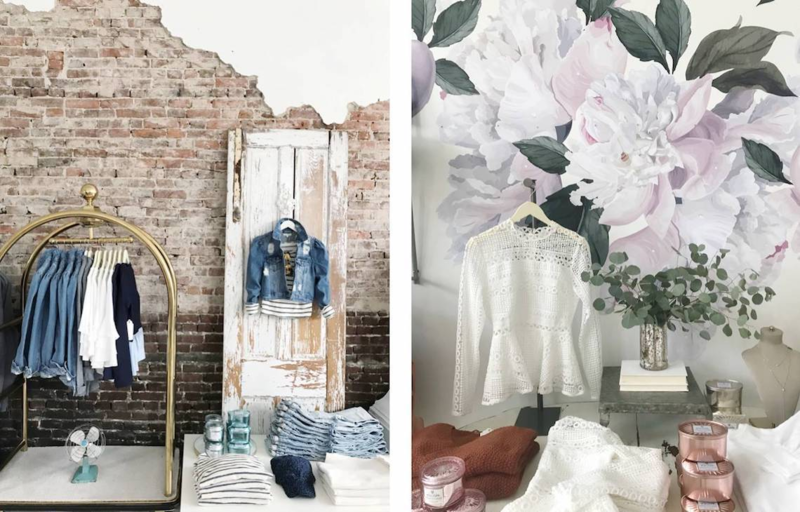 Turning an old warehouse into a gorgeous boutique was the dream of the mother-daughter team who made No.14. That, and to fill it up with trendy, flawless fashion and jewelry. The design throughout the store is a beautiful shabby chic that enhances the items on display. This store is another one of the wonderful independently owned shops that make Lawrenceville a must visit for out of towners, as well as Pittsburgh shoppers. Truly a one stop shop for anything you’d want to fill your home with. 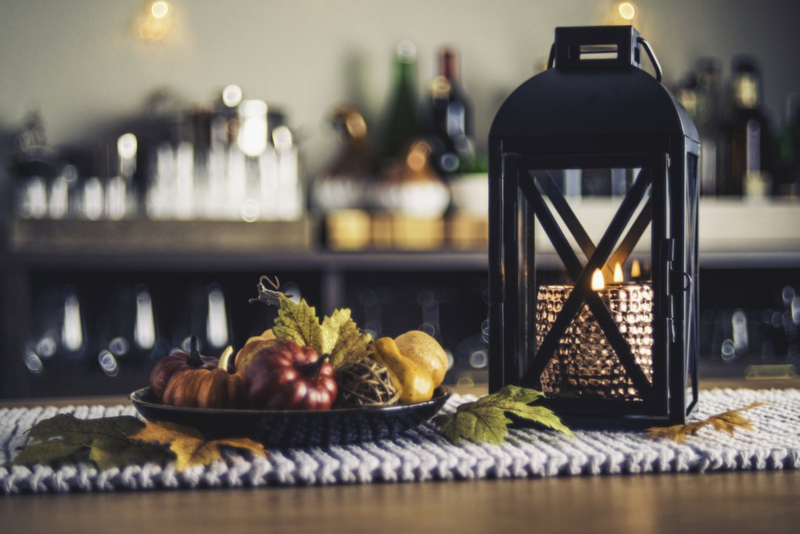 With everything from wallpaper to barware to lighting to garden tools, chances are if you need something, Von Walter & Funk has it. They also offer a line of calming lotions, bath products, and candles. And if it just so happens you need a balloon, they also sell those as well, complete with custom personalization. 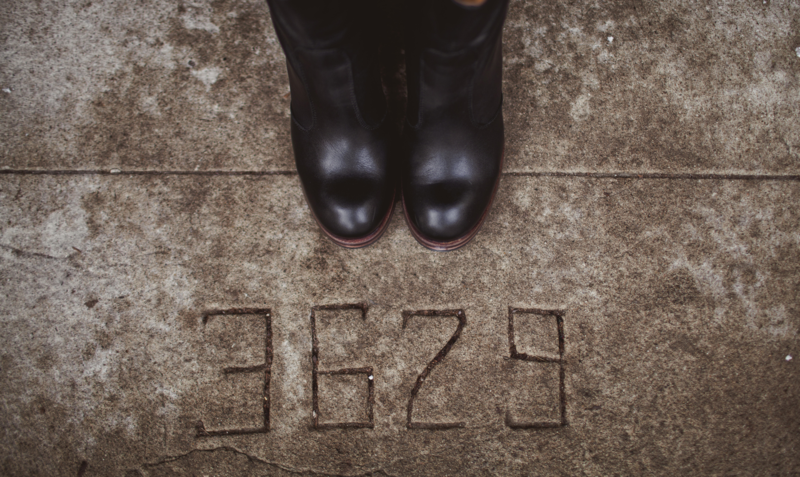 When Pittsburghers need a good, stylish pair of shoes, there’s only one place in Lawrenceville that comes to mind, and that’s Pavement. It also just so happens that you can pick up a gorgeous dress or trendy jeans to go with those shoes at the same place. A veteran in the Lawrenceville business community, this spot has already been around for over 10 years. It’s easy to explain the draw of this funky little store in Lawrenceville-- it’s the selection! 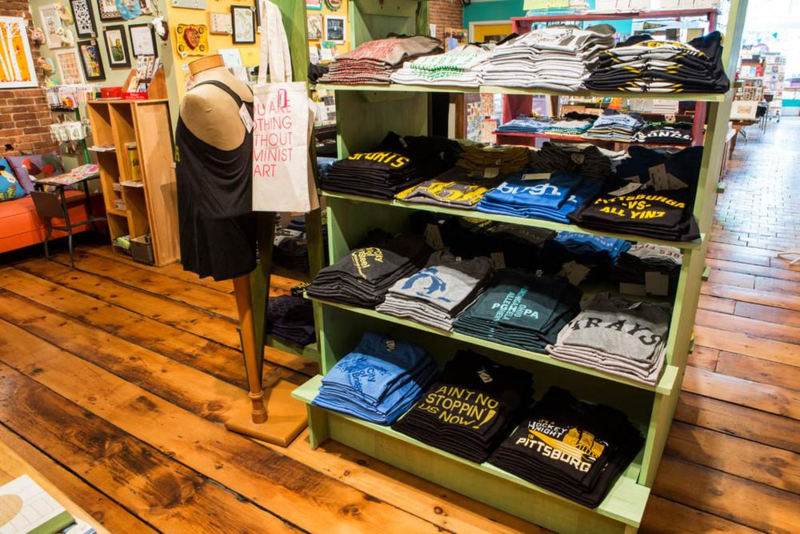 Whether you’re looking for that perfect stationary, a silly mug, or perhaps a cool Pittsburgh t-shirt, you’ll find it all at Wildcard. There’s so much to look at in this bright and welcoming shop, you’re bound to find something you like. This little nursery gives a nice touch of green to the Lawrenceville neighborhood. ...This may be the most fun place to shop in Pittsburgh! 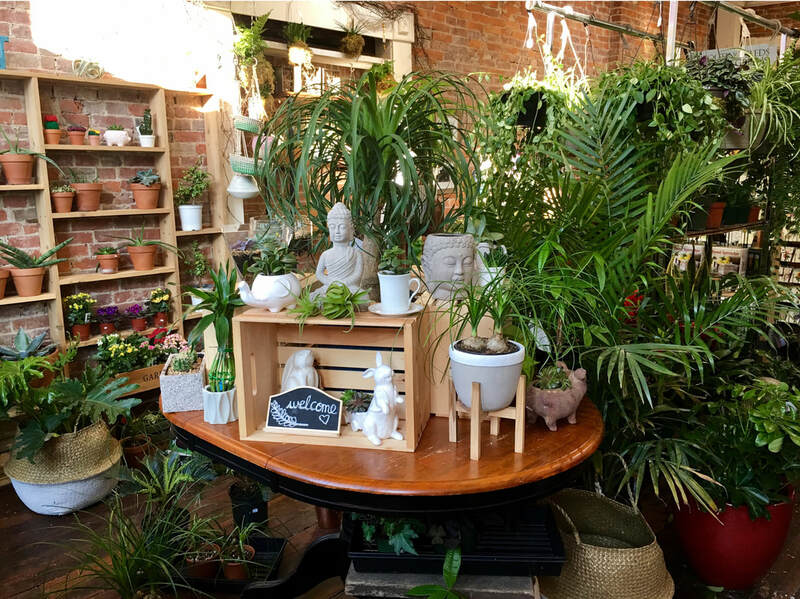 It’s an organic garden and gift shop that specializes in plants and potters that are just the right size for city living. They offer everything your plants need to thrive and also sell nice decorative arrangements like succulents and air-plants, too. If you’re a sharp dressed man looking for some new threads, your first stop is definitely Vestis. Since 2015, they have been offering ethically-sourced high quality menswear, that looks great, too. If you want something comfortable that you can wear all day, look no further. Don’t forget about their grooming items and accessories! 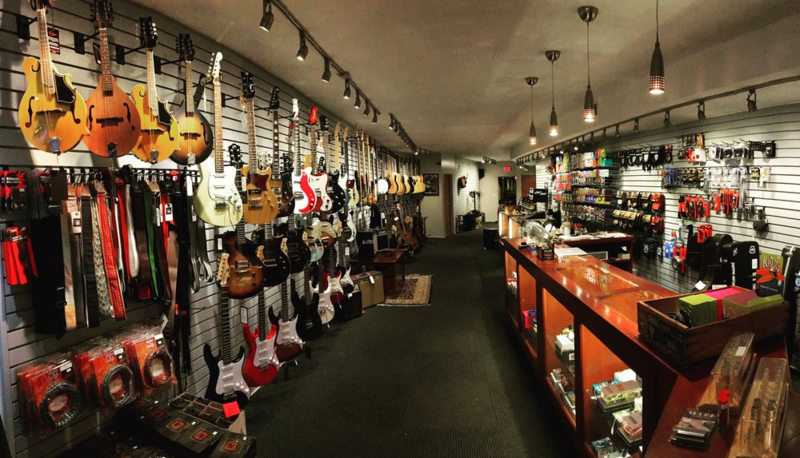 What would a trendy neighborhood be without a music shop? Channel your inner rock god(dess) and check out the guitars here. The knowledgeable staff can help you find the guitar that’s perfect for your skill level and your budget. They also offer lessons so you can brush up on your chords. If you have a broken or out of tune guitar, take it here and have it repaired by the experts. This menswear shop likes to keep their inventory limited to carefully selected pieces that are appropriate to the season. 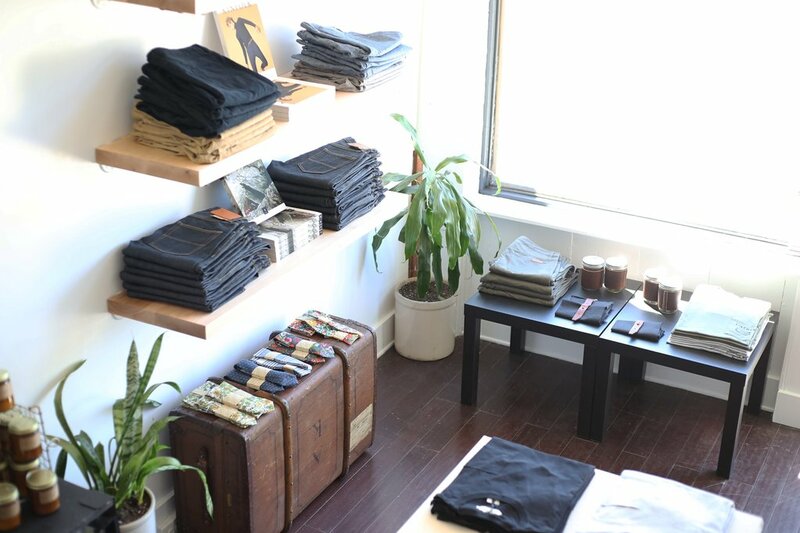 It’s a refreshingly minimalist store, and it works. 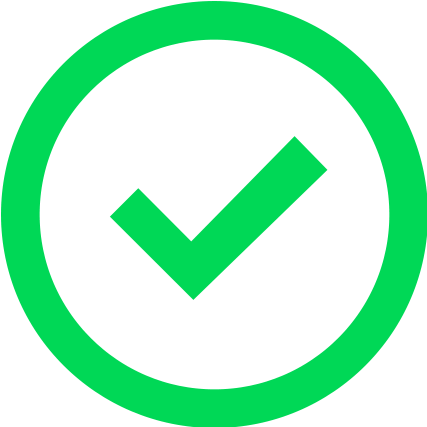 You never feel overwhelmed in here and can be sure that all the items, whether jeans or shirts or sweaters, have been carefully vetted by the proprietor. It’s almost like having your own personal shopper! Shopping can really wear you down, so why not stop by Arsenal Cider House and relax after a long day of shopping? 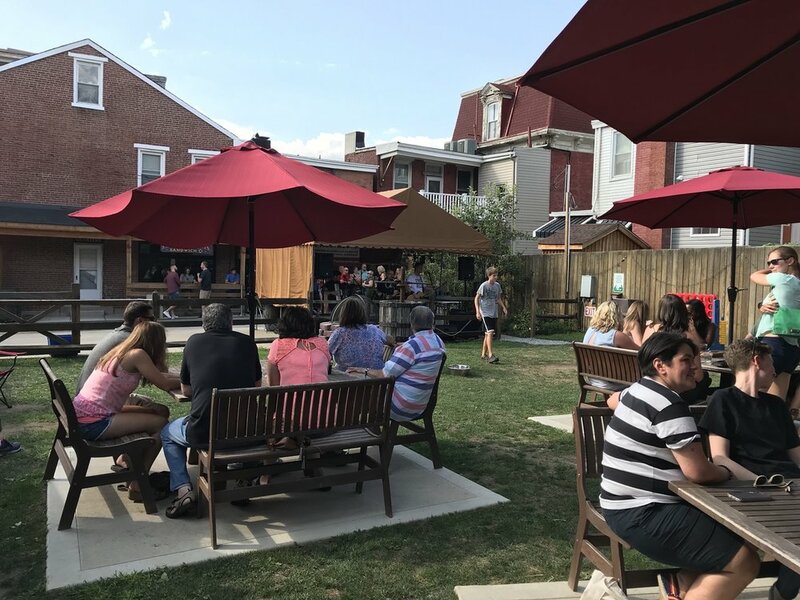 Arsenal is a must-visit in Lawrenceville, and since their ciders are always changing, you can expect to try something new each time you go. Be sure to fill up you growler before you leave! Lawrenceville has so many options for shoppers to shop local and shop small. All of these stores are independently owned and operated, and really reflect the eclectic nature of the neighborhood. Have you visited any of these stores? Let us know in the comments!